Andreas Dippel, a once famous tenor in German opera at New York’s Metropolitan Opera house, was distinguished for his progressive and far-reaching vision. Dippel was born in Kassel, Germany on November 30, 1866. His family was not musical and he was destined for a business career. 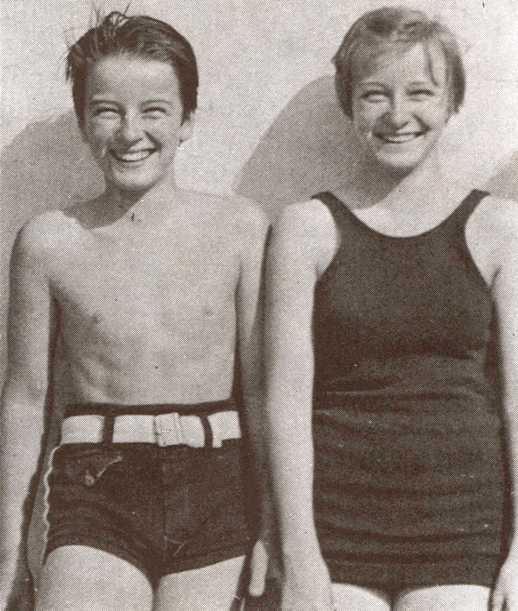 At 16 he worked for a bank and remained there for five years. At the same time he was developing his voice with singing groups and under the coaching of Mme. Zottmayer of the Royal Court Theatre of Kassel. In 1887 he left home and tried his hand at being an opera singer. In the fall of that year he made his debut in the Stadttheatre of Bremen as Lionel in Flotow’s opera Martha, beginning an engagement that lasted, with one important interruption, until 1892. He sang several smaller roles in Bayreuth in 1889, and become a member of the Vienna State Opera in 1893. He sang there until 1898 in 27 roles, including Marcello in the Vienna premiere of Leoncavallo’s La bohème. During that period he also sang in London’s Royal Opera House. He made his first American appearance at the Metropolitan on November 26, 1890, in Alberto Franchetti’s Asrael. Except for a concert tour, he did not sing in the United States after that season until 1898, when he became a permanent member of the Metropolitan Company, then managed by Maurice Grau. 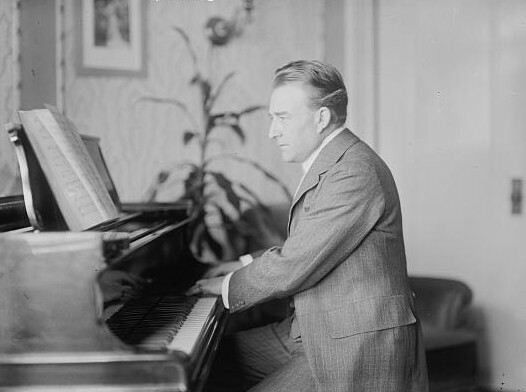 For twelve years Dippel was one of the important figures in opera in New York, first as a tenor of exceptional versatility, able to jump into a part at a half hour’s notice, possessing a repertoire of 150 roles; then, from 1908 to 1910, as administrative manager of the company in association with the newly arrived Giulio Gatti-Casazza as general manager. When Dr. Lee De Forest approached the management of the Metropolitan management for permission to attempt the radio broadcast of opera, Dippel enthusiastically consented, even allowing Caruso himself to sing into the microphone. Early in this regime it was apparent that all was not harmonious in the executive offices. The outcome of whatever disagreements existed was a superficially happy one. 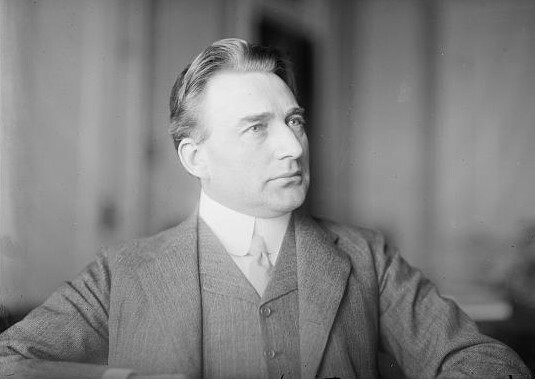 Dippel resigned in April 1910, to assume the management of the Chicago Opera Company, which he guided for three years through the difficult period of its beginning and early development. Again rumors of internal discord arose and he left the organization after receiving a year’s salary, $25,000, and other rewards for his promise not to re-enter opera in Philadelphia or Chicago for three years. Thereafter he tried various operatic ventures, none winning more than a temporary success. In 1914 he formed the Dippel Opera Comique Company which produced the Broadway premiere of Lilac Domino at the 44th Street Theatre on October 28, 1914. It ran for 109 performances and then toured the United States. Rather less successful was Dippel’s next Broadway production, The Love Mill, which opened at the 48th Street Theatre on February 17, 1918 and closed five weeks later after 52 performances. Dippel had his own opera school at the Ithaca Conservatory of Music in the 1920s. In 1920 he was reported to be gaining a livelihood by selling life insurance in Chicago. 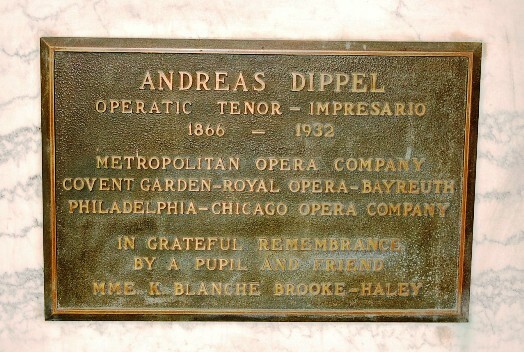 In May, 1921, a large testimonial concert was given for Dippel at the Metropolitan, following a similar benefit in Chicago. Two years later, along with Hugo Riesenfeld, Dippel once again became an advisor to De Forest when he introduced on Broadway, the Phonofilm, or talking pictures. This scheme to give opera in motion picture houses in combination with “jazz” and a fashion show failed, as did his United States Grand Opera Company. In 1924 he divorced his wife, the Countess Anita Dippel of Vienna, whom he married in 1890, on the ground of desertion. Once again with De Forest, in 1925 they recorded in the Century Theatre the notable Wagnerian score of the German film Siegfried, arranged by Riesenfeld – the first serious attempt anywhere to utilize the then new sound-on-film for so significant a departure. From then on, Dippel always insisted that the sound-picture would eventually become the medium for the masses of grand opera. Dippel was brought to Hollywood in 1928 by Metro-Goldwyn-Mayer and worked in the studio synchronization department. The following year he was injured by a street car and spent six months in the hospital. While there he was taken from the studio payroll and was left without finances, yet he toiled indefatigably on his own on the different problems of multi-lingual films. During the last few months of his life, unknown to most of his friends from whom he had gradually withdrawn, he had become destitute. On May 15, 1932, Dippel’s body was found in his room at the Hollywood Hotel; the cause of death was heart disease. Because he was penniless, his funeral was placed under the direction of the Motion Picture Relief Fund and plans were made to bury him at Valhalla Cemetery where they normally placed indigent actors. 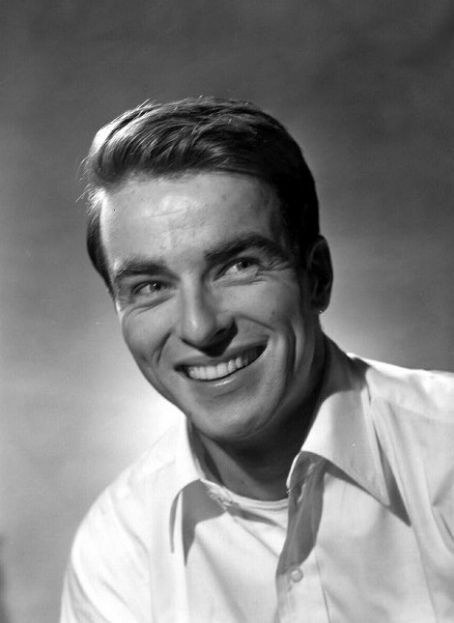 However, several friends donated money to buy him a crypt at Hollywood Cemetery next to that of actress Renee Adoree. Dippel’s funeral was conducted at Pierce Brothers Mortuary on Washington Boulevard and was attended by several score of intimate friends and associates, including Joseph Zoellner, Sr., Andres de Segurola and Mme. Sophie Traubman, who sang with Dippel in the Metropolitan; Charles Dalmores, formerly of the Chicago Grand Opera and Dr. Lee De Forest. His crypt marker was paid for by a friend and former student. 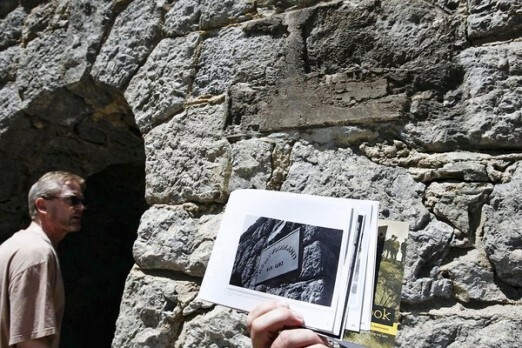 First it was directional signs for tourists that vanished, and now 1923 bronze ‘Hollywoodland’ plaques marking the stone gateway to the community have disappeared. Theories abound. Residents living on the narrow lanes beneath the Hollywood sign have quarreled for months over small directional signs pointing tourists to a place where the iconic Tinseltown symbol can be viewed and photographed. The road signs benefited homeowners on the street that dead-ends at the locked fire road that leads to Mt. Lee and the Hollywood sign. Unfortunately, the signs funneled sightseers and tour buses onto other nearby streets. Then the signs mysteriously disappeared. Whether that’s a crime depends on which street you live on. But now real thieves have stolen two signs that nearly everyone in the hillside neighborhood mourns losing: the historic 1923 “Hollywoodland” bronze plaques that marked the stone gateway to the community. A partnership between Warner Bros. and Paramount Pictures parent Viacom Inc. has signed an agreement to sell the historic theater on Hollywood Boulevard for an undisclosed sum to a pair of movie producers: Don Kushner, executive producer of “Tron: Legacy,” and the flamboyant and controversial entrepreneur Elie Samaha, two people familiar with the deal said Thursday. The sale, which is scheduled to close May 20, also includes the operating lease of the Mann’s Chinese 6 multiplex, located in the adjacent Hollywood and Highland retail mall. The single-screen Grauman’s — known for its giant, red Chinese pagoda, signature Chinese dragon guard dogs at the entrance and cement block footprints and hand prints of famous Hollywood figures — was declared a historic and cultural landmark in 1968. Neither Samaha nor Kushner were immediately available to discuss their plans for the theater, but one person familiar with the matter said the theater will continue to screen movies and host premieres and that the new owners plan to upgrade food and beverage services. The sale involves the Grauman’s building only and not the land the theater sits on, which in 2007 was sold to the CIM Group, which owns the Hollywood and Highland complex and other commercial properties in Hollywood. Representatives of Warner, Viacom and Mann declined to comment on the pending sale. But his business practices led to a high-profile legal battle with the German company Intertainment AG, which alleged in a fraud and racketeering lawsuit in 2000 that Franchise Pictures, the independent film company headed by Samaha, had made up inflated budgets for such movies as “Battlefield Earth.” Samaha had denied any wrongdoing. Intertainment was awarded $122 million in damages, but was unable to collect the money and ultimately settled the complex legal brawl for $3 million. Warner and Viacom have been trying to sell the historic theater for more than a year but had struggled to find a buyer. 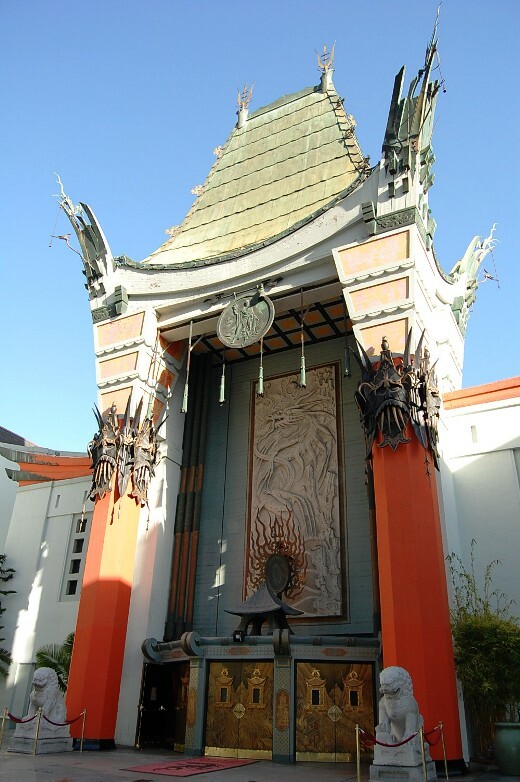 Warner and Viacom acquired Grauman’s Chinese Theatre in 2001 along with six other theaters owned by Encino-based Mann Theatres after the circuit declared bankruptcy in the face of rising competition from large theater chains. Mann continues to operate theaters in Hollywood, Glendale, Van Nuys and Thousand Oaks. Ted Mann, owner of the Mann chain, had purchased Grauman’s Chinese in 1973; it then operated under the Mann name for nearly three decades. Sid Grauman and partners that included silent screen stars Mary Pickford and Douglas Fairbanks financed construction of the theater, which opened in 1927 with the premiere of Cecil B. DeMille’s film “The King of Kings.” Over the decades it has hosted several Academy Awards ceremonies and was used for scores of high-profile premieres, including George Lucas’ “Star Wars” in 1977. The Hollywood facility’s executives say they have the expertise to turn around the troubled Grand View Memorial Park, where state officials in 2005 found 4,000 bodies improperly buried. The owners of Hollywood Forever Cemetery say they are interested in buying Glendale’s troubled Grand View Memorial Park, which fell into scandal in 2005 when investigators discovered that 4,000 people had been improperly buried. The sale of Grand View — where public access has been limited for years since the facility fell into a state of disrepair — is required under the terms of a $3.8-million settlement of a class-action lawsuit against the cemetery’s operators. The lawsuit came in the wake of a 2005 state investigation that found the remains of 4,000 people who had not been properly buried. The cemetery shut down a year later. It reopened with a new operator but closed again due to financial struggles. Now, a $500,000 restoration of the cemetery grounds — including a new irrigation system and the removal of dilapidated buildings for additional grave space — is about 85% complete, said Paul Ayers, the attorney for the plaintiffs’ families who was appointed to oversee the restoration. Several potential buyers have expressed interest in the property, but Ayers cautioned that a sale could take several years as final settlement details are worked out. Hollywood Forever officials on Monday said they have a list of ideas for making Grand View a viable business again, citing their experience in turning around the Hollywood cemetery, which was on the verge of closure when they bought it in 1998. Hollywood Forever, the final resting place for a long list of celebrities, is now an active cemetery and regularly hosts community events, including summer movie screenings. 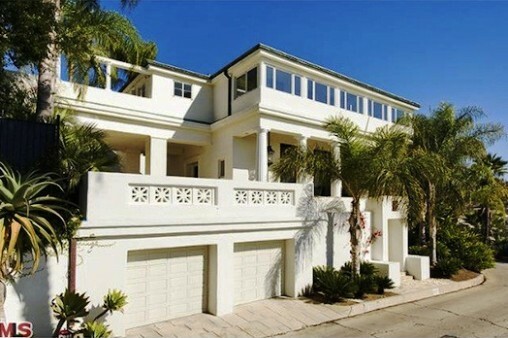 The state will have to sign off on any buyer. In the meantime, family members will continue to be confined to limited openings at Grand View, with the first of the year scheduled for Memorial Day. Arthur Marx went his own way with his career, becoming a TV writer, playwright and celebrity biographer; but his favorite, recurring subject was his famous father. Arthur Marx, a veteran television writer, playwright, celebrity biographer and memoirist who wrote extensively about an often fractious life with his father, comedic legend Groucho Marx, has died. He was 89 and died of natural causes Thursday at his Los Angeles home, said his son, Andy. To the list of things that can only happen in Hollywood, add today’s revelation about a man coming forward to return 1920s actress Marilyn Miller’s original Walk of Fame star, which was apparently stolen 40 years ago without anybody realizing it. Ana Martinez of the Hollywood Chamber of Commerce told City News Service she received a call yesterday from a nervous man who said he had a Walk of Fame star, which he claimed someone had given to him. It turns out it was Miller’s, which was one of several that were removed from the area of Hollywood Boulevard and Vine Street in the 1970s to make way for special honors on the famed walk for NASA astronauts, Martinez said. “The stars were removed because they were going to be moved up in the same area of original placement,” Martinez said. She said the original stars were supposed to be destroyed because they were being replaced with new ones. “Obviously a few of them weren’t,” she said. Miller’s star was apparently pilfered from a construction site — the same one from which the original stars of James Stewart and Kirk Douglas disappeared, she said. Those stars were later recovered, but nobody realized that Miller’s had not been destroyed as planned, so the theft apparently went undetected. “I guess everyone assumed it was destroyed,” Martinez said. Martinez said the caller, whom she identified only as Bill, asked if it would be a crime to keep the star. “I said it’s a registered historic landmark,” she said. So the man hastily returned the 300-pound piece of concrete, even though his wife apparently had plans to turn it into a patio table, Martinez said. “I’m just glad she’s back,” Martinez said. As the story goes, Miller — a singer/dancer who rose to stardom on Broadway in 1920 working with Florenz Ziegfield and went on to star in a series of musical comedy films — was the inspiration for an aspiring actress known as Norma Jeane Baker to change her name to the far more memorable Marilyn Monroe. Monroe’s agent, Ben Lyon, reportedly urged the change, saying Monroe reminded him of Miller. Penelope Cruz was honored with a star on The Hollywood Walk of Fame. Her star is located in front of the El Capitan Theater and is star number 2,346. She is the first Spanish born actress to receive this honor. Cruz has received three Academy Award nominations and won a best supporting actress Oscar in 2009 for her performance in “Vicky Cristina Barcelona”. Director Rob Marshall and co-star Johnny Depp both spoke at the ceremony to honor Cruz. 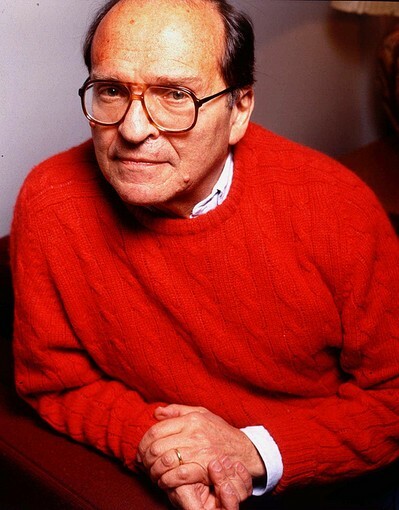 Sidney Lumet, a four-time Oscar nominee, was known for guiding strong performances in films such as ’12 Angry Men,’ ‘Network’ and ‘Dog Day Afternoon.’ Lumet directed more than 40 films in his long career, many of them in his hometown of New York. Sidney Lumet, the prolific, four-time Oscar-nominated director known for guiding strong performances in classic films such as “12 Angry Men,” “Dog Day Afternoon” and “Network,” died Saturday. He was 86.